This Easter, experience the incredible true story of BREAKTHROUGH in theaters! To honor the anniversary of this miraculous event, 20th Century Fox has released the film’s “Nothing Is Impossible” special look. When Joyce Smith's adopted son John falls through an icy Missouri lake, and all hope seems lost, Joyce refuses to give up! Her steadfast belief inspires those around her to continue to pray for John's recovery. 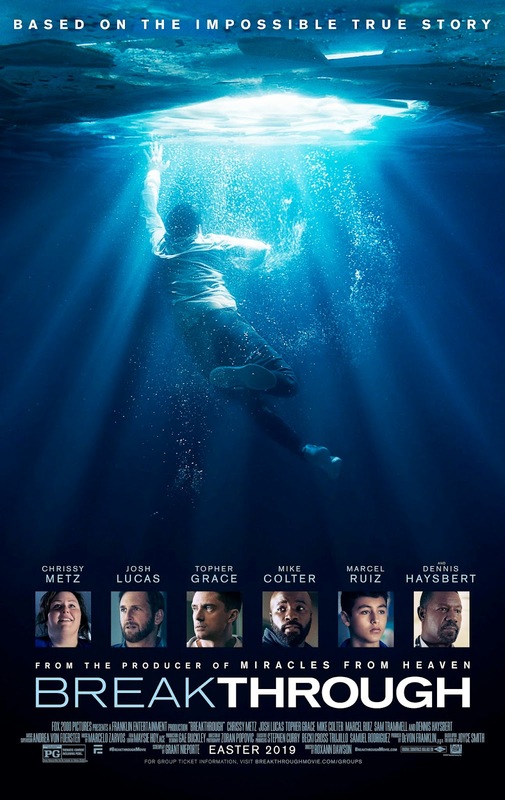 Directed by Roxann Dawson, BREAKTHROUGH is an enthralling reminder that faith and love can create a mountain of hope, and sometimes even a miracle. BREAKTHROUGH opens in theaters everywhere this Easter!